Commercial Garage Door Contractor Serving Toronto – Garage Door Repair – Broken Spring Replacement. Commercial garage doors take a pounding. They are built tough, but over time they too will become worn and will either need a repair or replacement. Ontario Doors Repair offers complete repair and installation services to the Toronto area businesses. Give us a call today if you are having trouble with your garage door or wish to purchase a newer model. Commercial garage door repairs are a little different from regular residential ones. They are larger and have a few extra components. It is best to seek out a professional that actually understands how commercial garage doors are different and how to fix them properly. Ontario Door Repair in Toronto knows the difference and we offer very affordable prices. 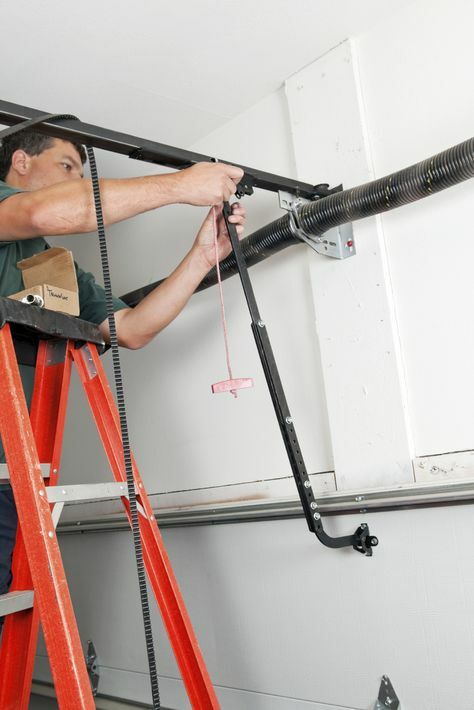 Many repairs are able to be fixed easily and without much hassle to you or your business. When you are looking for a commercial garage door it is important to go to a qualified dealer. Ontario Door Repair is a qualified dealer and we know the differences in types and power. Businesses need tough doors that will keep going for years to come, we provide this to our Toronto businesses. We know running your business is stressful enough. We are here to make it at stress-free as possible. Ontario Door Repair will have your new door installed and running in no time at all! We also offer wonderful warranties for all of our new garage doors. Give us a call to discuss our options and prices, we promise we deliver the best in the Toronto, Ontario area. Ontario Door Repair now offers commercial garage door installation services to Toronto, ON, and the neighboring cities. If your industrial garage door has seen better days or you are ready for an upgrade, give our expert team a call. We are licensed, certified, and insured to offer you the best in commercial garage door installation. From basic garage doors to heavy duty ones, the team at Ontario Door Repair has you covered. To schedule an appointment or to ask us any questions, give us a call today. Above are the most common choices, we also provide many other types of industrial size doors. When it comes to commercial garage doors, the choices are endless. Ontario Door Repair offers the Toronto, area businesses a wide-range of choices. From colors to metal types, we carry it all. Our team even carries the most power garage door openers available. We will work closely with our clients to ensure they get the right type of door at the right price. If you are unsure of what type of door will up your productivity, let us help. Our team is dedicated to bringing you the perfect fit for your business. Check out the rest of our site or give us a call to hear about our great services and many choices. We guarantee you will love our products, options, and services.